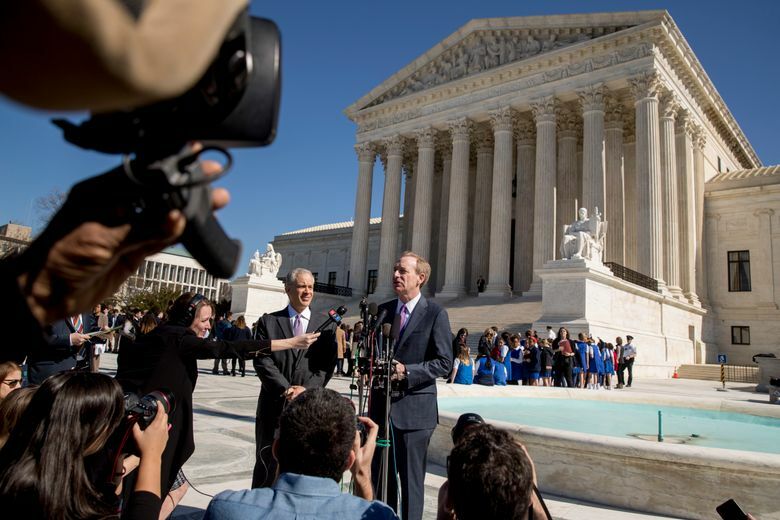 Supreme Court looks at how older law applies to Microsoft case on storing emails outside U.S. 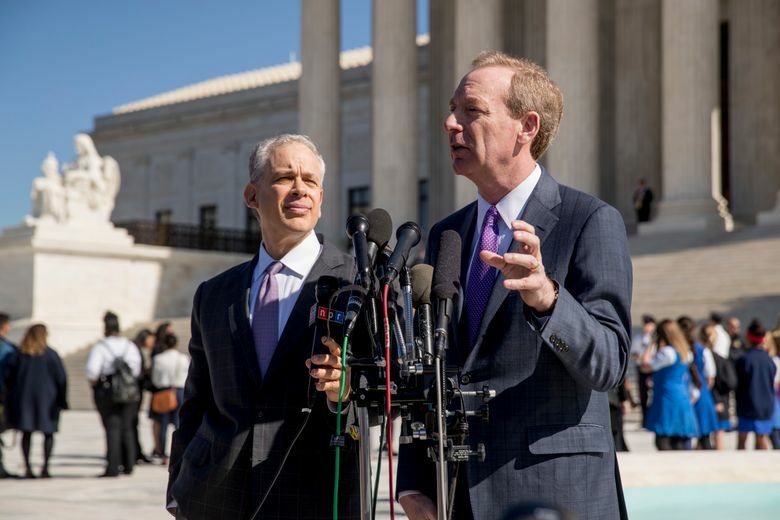 The justices heard arguments in a dispute between the Trump administration and Microsoft Corp. over a warrant for emails stored in the internet cloud outside the United States. 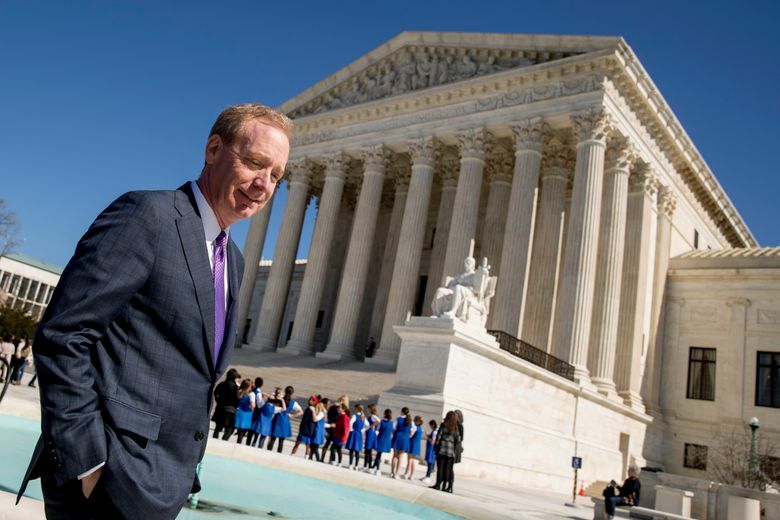 WASHINGTON (AP) — The Supreme Court on Tuesday explored what happens when a decades-old law meets 21st century technology. The Drug Enforcement Administration wanted the emails as part of a drug trafficking investigation. The agency obtained a warrant under a 1986 law, but Microsoft refused to turn over the emails because they are stored on a company server in Dublin, Ireland, and the warrant does not apply abroad. The federal appeals court in New York agreed with the company that the 1986 Stored Communications Act does not apply outside the United States. The arguments highlighted the difficulty that judges face in trying to apply older laws to new technological developments. “I recognize we have a difficult statute here,” Justice Anthony Kennedy said. Still, it seemed likely that the court would side with the administration, which argues that investigations have been hampered by the appellate ruling. Justice Department lawyer Michael Dreeben argued that the focus should be on Microsoft’s headquarters in Redmond, Washington. That’s where a computer operator would retrieve the emails and hand them over to federal authorities. Joshua Rosenkranz, representing Microsoft, wanted to talk about where the emails are kept. “They are stored in Ireland. And the government is asking us to go and fetch them from Ireland,” Rosenkranz said. Ginsburg and other justices said it would be better if Congress updated the law. Sen. Orrin Hatch, R-Utah, who was in the courtroom Tuesday, is a sponsor of a bipartisan proposal that has been introduced in Congress. The legislation known as the Cloud Act has the support of both the Trump administration and Microsoft. But lawyers on both sides said the court should decide the case before it, not wait for Congress to act. Dreeben told the court that Microsoft voluntarily moved the emails to a server in Ireland and could just as easily retrieve them. He stressed that the government had a warrant, “the gold standard” for addressing privacy concerns. “It’s not a case about privacy,” said Dreeben, who is part of special counsel Robert Mueller’s Russia investigation team, but has occasionally argued important cases at the Supreme Court. Rosenkranz described how much physically has to happen in Ireland when someone at Microsoft headquarters issues a command to retrieve emails from the Dublin server. Even after the emails are found, the data “runs through Ireland on hard wires and then over the Atlantic,” Rosenkranz said. “Does some person have to be there?” Kennedy asked. No, a robot handles the work in Ireland. 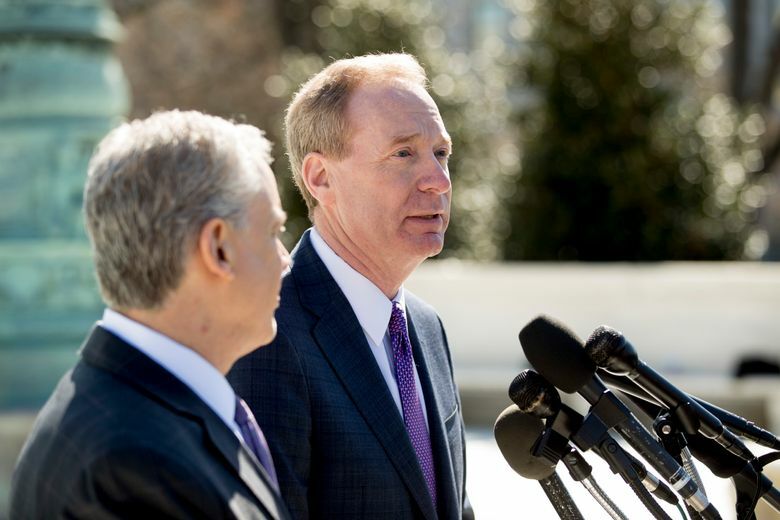 Addressing reporters in front of the court following the arguments, Microsoft President Brad Smith said the arguments reinforced his view that Congress should act. “Because, in fact, I think that what this case makes clear, and what this morning has further made clear, is that we need 21st century laws to protect 21st century technology,” Smith said.